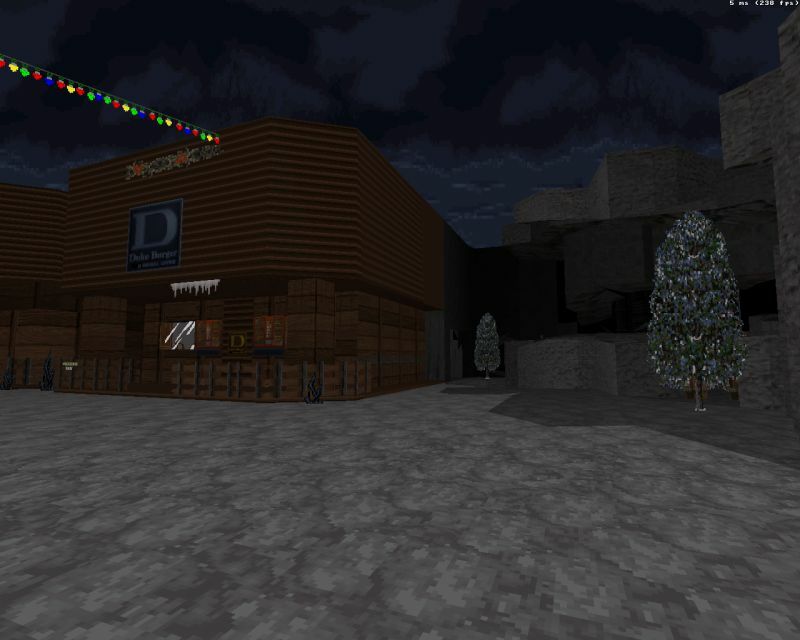 The Review: Duke64Nukem has converted his Wild West town into a Christmas town. The map has that standard Old West town layout with a single road in the middle surrounded by simple two-story buildings on both sides. 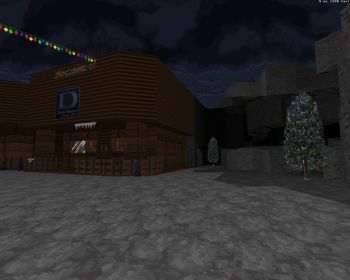 The Christmas conversion works pretty well here with snow and decorations everywhere. 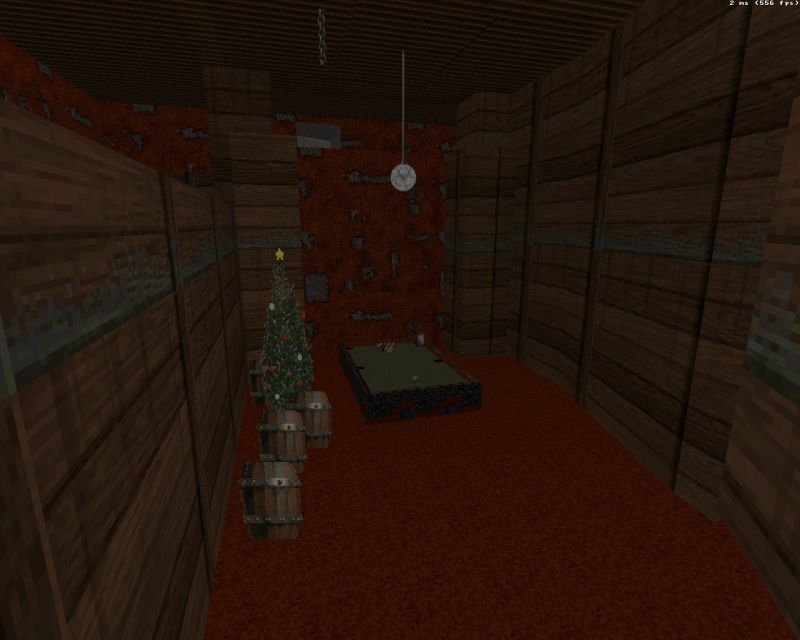 There's also a custom Christmas-themed track to help you get in a more festivus mood. The map's design is pretty simple with relatively few details, which is particularly evident indoors. In terms of gameplay the town is easy to navigate; you'll be searching for keycards, and finding one is often merely a matter of clearing a room or two. Monster count is pretty high for such a small map but it's all well balanced. All in all, while lacking in design, Ghost Town Xmas is a fun Christmas-themed map, making it a cannot miss for the end of the Holiday season. Nuclear Winter required: If you have it on Steam, simply launch EDuke32 the way you usually do and select Nuclear Winter from the launch menu. Don't forget to check out the author's previous Nuclear Winter map.